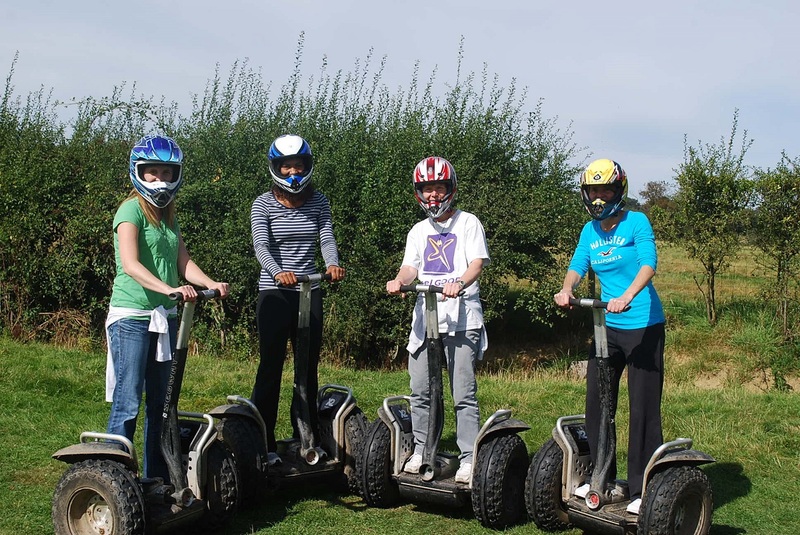 Our Segway Tour happens to be one of our favorite Hen Do Idea we offer to all our guests at Hen Party Sligo. The tour is certainly an activity you will never forget and an experience you and your fellow Hen will love. Segways are a 2 wheeled vehicle that runs on electricity controlled by your hands and and body weight and are very easy to use. The only thing you have to do is push the handle bars to direct the vehicle and balance your body! Highly sensitive fluid-based leveling sensors and gyroscopic sensors detect any changes in weight distributions and move accordingly. This Hen Do Idea is so much fun, not only will our tour guide bring you along the designate tour he will also get each individual to take party in party games like heart pumping Segway polo action, Nerf-gun jousting, water-blasters or Frisbee on Segways, we have something to fulfill every desire.